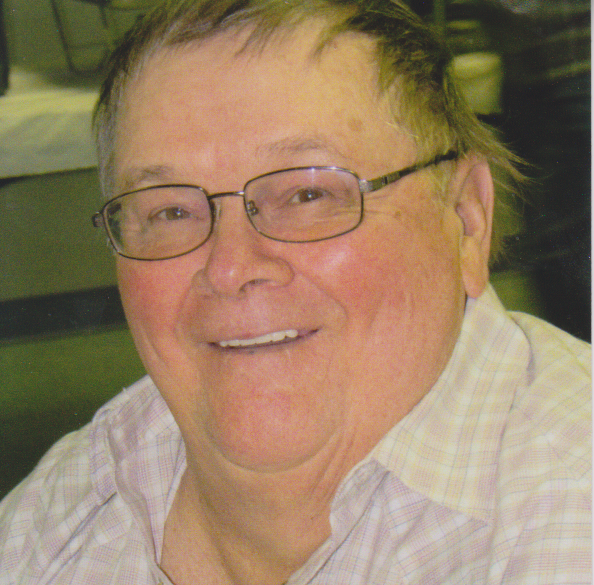 John W. Nichols, a loving and devoted husband, father, and grandfather, 71, of 55 Hawthorne Road, Bradford, went to be with the Lord, Wednesday, July 25, 2018, at UPMC Hamot Medical Center in Erie. Born in Olean, NY on July 28, 1946, he was a son of the late Lawrence and Marjorie (Mills) Nichols. On March 21, 1981 in Bradford, he married Deborah S. (Ackley) Nichols who survives. John was a 1965 graduate of Bradford Area High School. On November 1, 1965, he enlisted in the United States Air Force, served during the Vietnam War and was honorably discharged, April 3, 1969. He had been employed at American Refining Group for 41 years. John was a member of the Quarter Century Club, a member of the former Bradford Moose, and a member of the American Legion for many years. He was also a member and vice president at the Greater Bradford Senior Center, where he entertained members, singing, playing guitar and drums. He played drums in many bands over the years. John was active in sports, playing baseball, softball, bowling, and raced motocross in the past. In addition to his wife Debbie, he is survived by two sons Kevin (Stephanie) Ackley, of Blairsville and Matthew (Richille) Nichols, of Bradford, one grandson, Benjamin Ackley, two sisters, Sally Nichols and Sue Nichols, five brothers, David Nichols, Jeffery (Sarah) Nichols, Joe (Sue) Nichols, Gregory (Sue) Nichols, and Timothy Nichols, of Bradford, and many nieces and nephews. He was preceded in death by his parents and one sister, Beverly Lou. Colley with whom he enjoyed playing music with. Family will be receiving friends on Monday, from 6:00 to 8:00pm, and again on Tuesday 11:00am to 1:00pm in the Hollenbeck-Cahill Funeral Homes, Inc., 372 East Main Street, where funeral services will be held at 1:00pm with Rev. Matt Blake, pastor of the Bradford Area Parish officiating. Full Military Honors and burial will be accorded by members of the United States Air Force and the Honor Guard of the American Legion Post 108 of Bradford at McKean Memorial Park. Memorials if desired may be made to the Greater Bradford Senior Center, the Bradford Area Parrish or the charity of the donor's choice. Last saw John at a Refinery Quarter Century Party. Always a smile and that is what I will remember. RIP John. I am sorry for your loss,growing up with John and his family we were the original Band of Brothers. We first met in 55 or 56, he lived over by Dressers they are so many memories that have flooded my mind when I read his obit. I remember when he got discharged from the Air Force in England, it was in Feb I think. Marge kept the Christmas tree up,he laughed, many a milage on that 62 red chevy he bought. Rest in peace brother, I will never forget you. John was a true gentleman. He was honest,kind and always met you with a smile. I''m so sorry for your loss.. I have known him a long time...My favorite memory him playing the drums and singing Jeremiah was a Bullfrog...My youngest brother sleeping in front of the drums while they practiced at Mom and Dads..Dad and John are now healthy and playing their music again. He will be greatly missed..? So sorry for your loss Deb. I will miss his wonderful music and his smiling face. My prayers are with you and your family. Deb, so sorry for your loss. One day at a time is now my motto. I''m sure it will be yours too. God bless you and keep you in His loving arms. My prayers are with you Debbie and your family .